COME January 1, 2016 and Maharatna PSU Bharat Heavy Electricals Limited ( BHEL ) will get its new CMD. Atul Sobti is just 56 and dynamic as well as a quick decision maker. 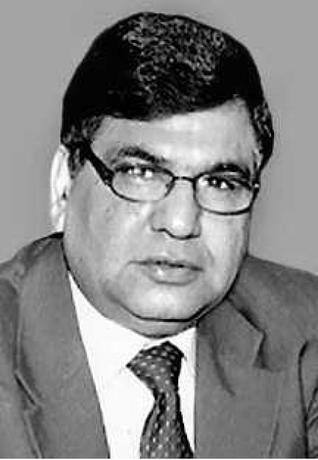 With the selection of Sobti for the post of CMD, BHEL on June 4, the electricals behemoth is set for a new head. Now, his selection is to be ratified by the Appointments Committee of the Cabinet (ACC). New Delhi and also held additional charge of Industrial Systems Group (ISG), a Bangalore based unit of the equipment maker. Sobti who will succeed BP Rao who is set to retire on December 31. In the selection interview 11 candidates had appeared before PESB. They include apart from Sobti, M K Sharma, ED, BHEL; Uumakanta Choudhury, ED, BHEL; N R Edkie, ED, BHEL; S K Pattanayak, Director (Finance), HEC; Rajeev Sharma, CMD, REC; Vijay Anad, Director (Projects), RVNL; Rajeev Bhardwaj, DIR (HR), SECI (Lien with CONCOR); Kulamani Biswal, DIR (FIN), NTPC; S Borghain, DIR (PERS), NEEPCO (Lien with PGCIL) and P K Mukhopadhyay, MEMBER (Secy), DVC. Earlier, PESB, under the department of personnel and training (DoPT) had advertised the post of CMD in the first week of February this year. The incumbent CMD, Rao had earlier got extension for two years beyond his superannuation on December 2013. Sobti was also holding concurrent charge of industrial systems group, a Bangalore based unit of the company. A graduate in mechanical engineering and post graduate in international management plus diploma in project management, Sobji has added many a feathers to his eventful career. With a rich experience for over 33 years of working in various capacities in BHEL including international operations, corporate planning and development, new capital projects and project engineering and systems integration divisions at BHEL Hyderabad and Bangalore, Sobti is likely to take the Maharatna PSU to new height of excellence and achievements both in domestic and as well as in international levels. During Sobti's tenure at BHEL's international operations division, BHEL overseas business increased fifteen fold by securing orders from countries like Oman, UAE, Iraq, Libya, China, Kazakhstan, Suriname, Bhutan, Sri Lanka, Egypt, Kuwait and Ukraine. A brilliant student, he was awarded the Gold Medal at IMI, while pursuing ‘Post Graduation in International Management’. He has also undergone Advance Management Training Programmes at IIM, Ahmedabad and Asian Institute of Management, Manila. Sobti has been an active member of ‘CII National Committee of young Managers’, National level ‘CII Trade committee’ and Bangalore Chamber of Industry and Commerce (BCIC). He is also a regular faculty member at a number of reputed Management Institutes as well as BHEL’s Human Resource Development Institute. PESB is now sending its recommendation to Appointment Committee of Cabinet for its approval. Right before the selection interview the corridors of PSUs and Ministries seemed quite curious whether BHEL would continue with its history or would it set new history for itself. The buzz revolved around the fact that BHEL never got its CMDs from outside. Recently, Sobti, has been given the additional charge of Director (Finance), after P K Bajpayee relinquished the charge on superannuation on May 31. Along with delta pressure analysis the filter nozzle melting due to dust blocking can also be prevented. One Italian firm which failed to to have signals during dust blockage and filter nozzle melting problems for such materials can also be embedded with graphical algorithmic representation in operators room.M/S BHEL research Group may carefully note down this aspect for their future designs. With the right materials, it may be possible to eliminate the internal combustion engine altogether.